Homemade hamburger barley soup is an easy stovetop recipe made with beef broth, ground beef, vegetables and barley. Serve this healthy, low carb, and low cholesterol comfort food to your family for dinner tonight! 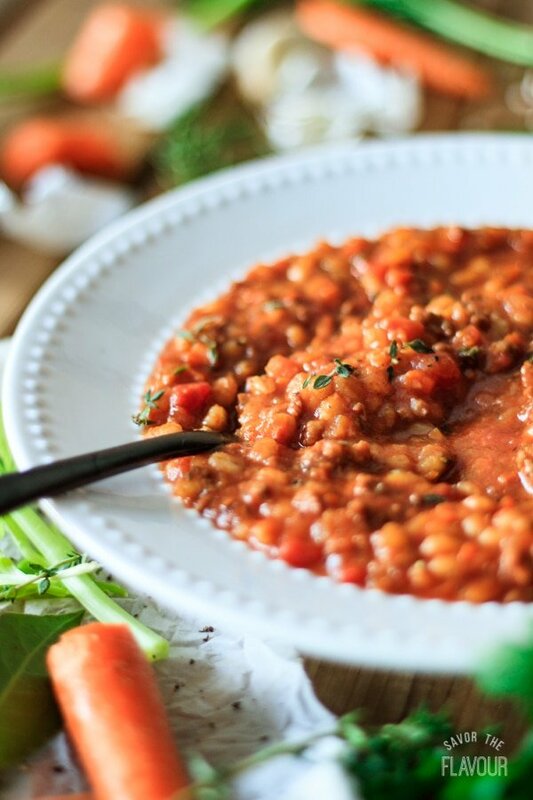 Homemade hamburger barley soup is so tasty and comforting you’ll want to make this for supper tonight. 🥘 I first tasted this soup twenty years ago at a friend’s house in my hometown of Thunder Bay, Ontario. Over the years, I’ve tweaked this recipe to make it more healthy without compromising the taste. This delicious comfort food is actually incredibly easy to make! All you need to do is fry up the hamburger, onions, and garlic, then dump in the rest of the veggies, stock, and spices. Then you can sit back and let the flavors meld together. Serve this hearty soup with a thick slice of our overnight pumpernickel bread. 😊 Or you can give a container of this soup to a friend in need. (It’s freezer friendly, too.) Make a double batch–you won’t be sorry! Be sure to save this recipe under your family favorites. Your kids will thank you! Drain off excess fat from the hamburger meat to lower the fat content. Let the soup simmer as long as you can to let the flavors meld. Taste the soup occasionally as it cooks and adjust the seasonings as desired. Freeze leftover soup in zip-top freezer bags or airtight containers. Use up extra hamburger meat in these mouthwatering soups. Meaty Chili: this soup is jam-packed with meat, beans, and veggies to fill you up. Tex-Mex Taco Soup: this yummy comfort food soup is perfect for weeknight meals. 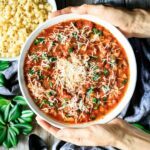 Classic Minestrone Soup: cheese, tomatoes, pasta, and veggies make this soup a real treat. 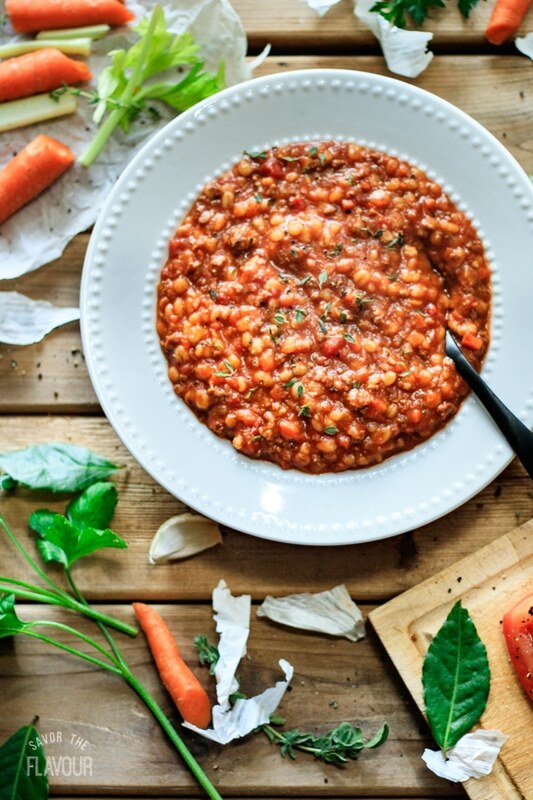 We’d love to hear what you think of this hamburger barley soup recipe. Please leave a recipe rating below! Brown the hamburger over medium heat in a large soup pot, then drain off any excess fat. Add 2 tablespoons of olive oil to the pot, then saute the onions over medium heat for 4 minutes. Add the garlic and cook until fragrant. Add the cooked hamburger and the remaining ingredients to the pot. Stir well and cover. Bring to a boil, then simmer for two hours. Serve warm.